Read our customer reviews ... or click the button to create your own review. Date of stay. March 13, 2017. We loved our stay! Place was clean and neat. Kids loved driving around in the golf carts to all the various activities. Spa at the Ritz Carlton Reserve is a MUST! Amazing. About 10 minute drive in the golf cart to the beach and pool area. Date of stay, Jan 1, 2017. You will not be disappointed with this home. It's bright, clean, free of any smells, odors, pet hair or any bugs. I really enjoyed the high end furnishings and appliances. All items are in working order and easy to use. Outdoor space is private enough so you don't see your neighbors in any windows. The 2 golf carts are a big bonus to use. The driving of a golf cart around is an adventure of its own. Take it around the whole Rockefeller trail to get familiar with the space of the resort. The resort grounds are just beautiful all around. Multiple pools and playgrounds for the kids to enjoy. There is a nice Airplane pool and playground park very close to the villa. Watermill park was nice with lazy river and not busy at all as was the Encanto pool. Best food was at Mi Casa we had dinner and breakfast, at Positivo only sushi from the menu were great, rest was just OK, had lunch at Encanto almost every day. Typical bar food but they have a few good choices, my favorite was Portobello wrap. Try green ice cream (forgot the name of the fruit in it) in La Cocina, its right next to Encanto pool, it was very good. 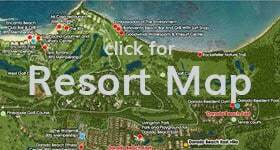 The Villa and the resort grounds and amenities are excellent so you won't need to wonder off the property besides going to grocery store nearby. No one wanted to go home after one week. If we could we would stay for a month. Date of stay, Dec 16, 2016. This is a beautiful, bright, modern home. It's is spacious for a family of 5 and has a ton of amenities in the kitchen if you choose to stay in for a meal. The common space in the home is ideal for hanging out after a day out in the sun! (Our teens loved the big TV!) The golf carts are a great convenience for the property. If you are considering the dorado beach pass- definitely do it! If you rent the home you can only access limited areas within the community. 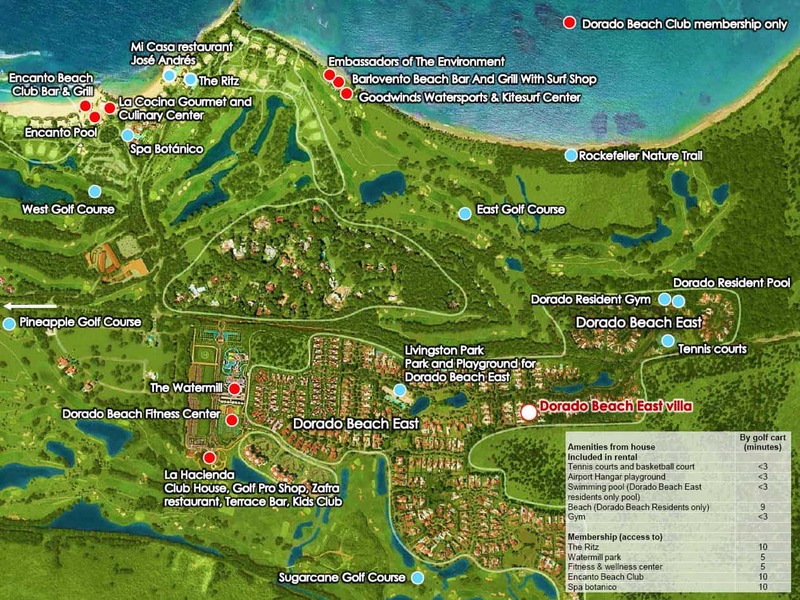 With the dorado beach club pass, you have access to the most beautiful beaches and pools, great workout facility and classes as well as the concierge services at the Ritz. Worth every penny! The only downside was the hot water at the house. We had our fair share of cold showers. But minor when it is 80 degrees.